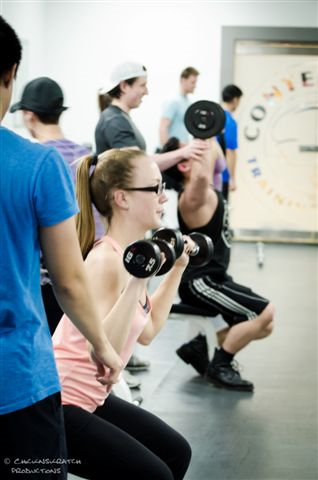 The Weight Training Practicum allows students to complete the required practicum for BCRPA Registration or CFES Certification. Students will complete the various forms and programs, including actively training clients. Feedback will be given by both the client and supervising instructor. Relevant training forms are included. The group will form a training pool so students can easily complete the 20 prerequisite programs needed to register for the Personal Training Course. This program concludes with the official evaluation in the last class so students can walk out the door and start training.